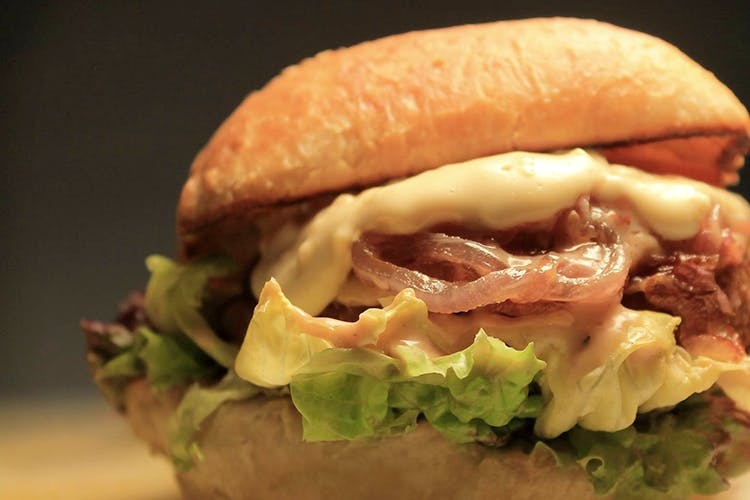 Frisbees, an eatery that calls itself the burger peddlers of Mumbai, is argued to make the best burgers ever served in town. Tried them yet? If you’ve restricted yourself to burgers by fast food joints or the occasional deli till now, you’ve truly missed out. Veggies, the cheese bomb burger with lime and chilli mayo, onion jam, a herbed patty and lots of cheese sauce makes one of the juiciest burgers. Others, do have their Chicken Jamaican burger and BBQ Bazooka which is stuffed with jalapenos, BBQ sauce, barbequed chicken, olive and bell pepper omelette along with cheese. They’ve also got lamb burgers on the menu. Each burger comes with a portion of complimentary fries. And if you want more, order their cheesy fries in a bucket. Yum. We also love that every day of the week offers a different deal. On Tuesdays, you get two desserts for INR 60, on Wednesdays, everyone who walks in and eats gets 15% off. On Thursdays, come with a group and get your fourth burger free. On Fridays, get an extra burger patty at INR 50 and on Saturdays, anyone who reviews them on Zomato gets 15% off. The place is closed on Mondays, however. If you have missed out, order in from them now. Perhaps, we have reminded you of the awesomeness that Frisbees is, and you should drop by again another time.